‘Tis the season to be jolly and what better way to feel jolly than to decorate? 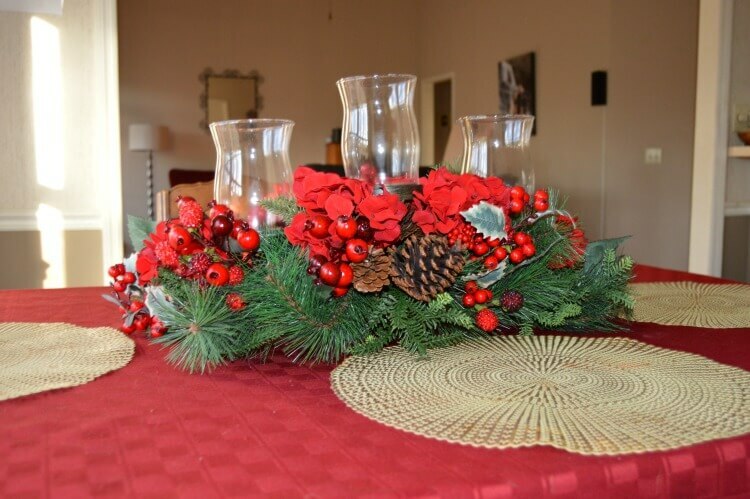 Today, I will share a few Christmas table decorating ideas with you that bring all the warmth and cheer of the holiday season right into your home. This post is sponsored by Nearly Natural. The focal point of the holiday season often comes down to the holiday table centerpiece where family and friends gather around the table for parties and dinners. Usually I work with various odds and ends Christmas decorations and candle holders to bring together my Christmas table decorating ideas. This year, I decided it was high time that I got a fancy holiday table centerpiece that I could use year after year and that would look really special. Nearly Naturals had tons of holiday table centerpieces to chose from but I just fell in love with the Hydrangea Holiday Candelabrum. It looks so real and is so elegant! When I pulled it out of the box, it was ready to go, I just set it on the table and voila, it was perfect! Holly leaves, evergreen twigs, berries, pinecones and bold red hydrangeas make a really striking and lovely decorative display for your Christmas table. Nestled amongst the artificial plants are three glass hurricane candle holders, ready to shed light on your holiday meal. This makes the perfect festive dinner table centerpiece for your Christmas table decorating. You can use artificial plants indoors for easy home decor. With artificial poinsettia plants, you don’t have to worry about remembering to water them, or if they are getting enough sun, or if they are dropping pollen or leaves or water on your buffet serving table or into your Christmas potluck dishes! 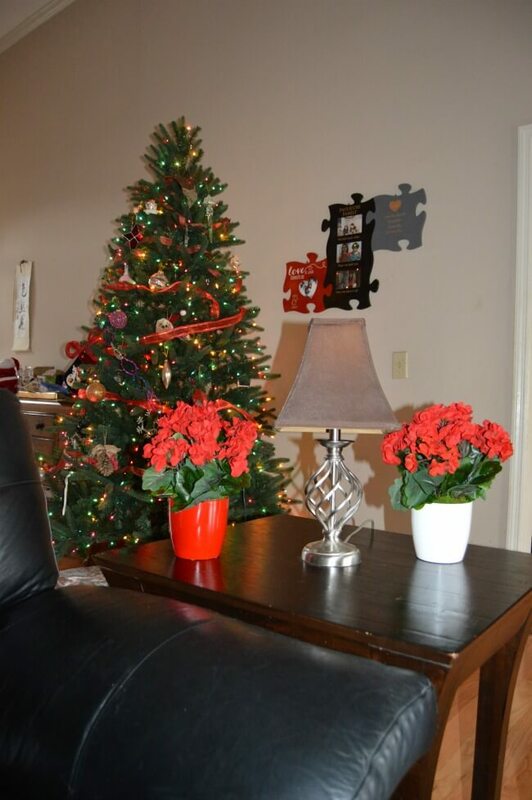 Plus, the Nearly Naturals artificial poinsettia plants are just so bright and cheerful and life-like. 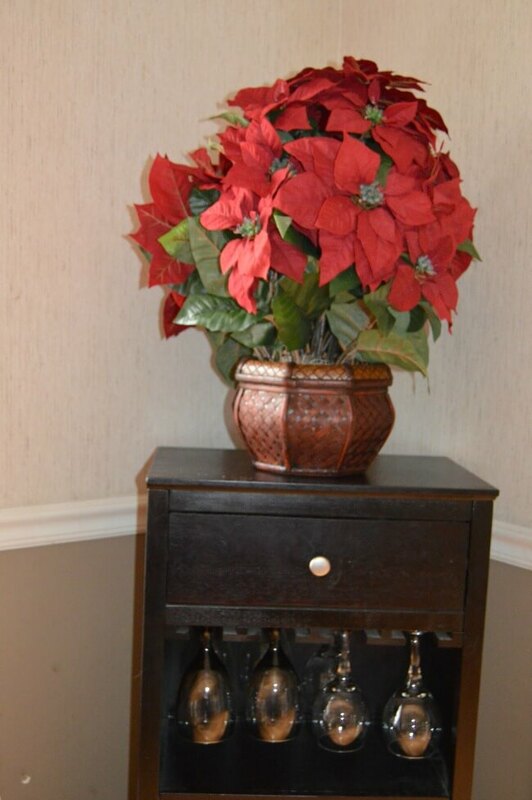 I chose the Poinsettia With Decorative Planter Silk Arrangement. It is nice large, very full artificial poinsettia and I like the decorative planter. For your Christmas table decorating, keep artificial poinsettia plants in mind as the perfect way to add some festive color to your serving table. These could also make a great hostess gift. The fabulous thing about artificial geranium plants is that they can be used year round for that fun bit of color. I chose the Geranium Artificial Plant in Ceramic Vase UV Resistant Indoor Outdoor Set of 2. They are the perfect size to add cheer to your side table, coffee table, entrance table, or even the mantle. This particular set can also be used as artificial plants outdoors and add some color to your entry way! The artificial geranium plants are perfect for your small Christmas table decorating needs. 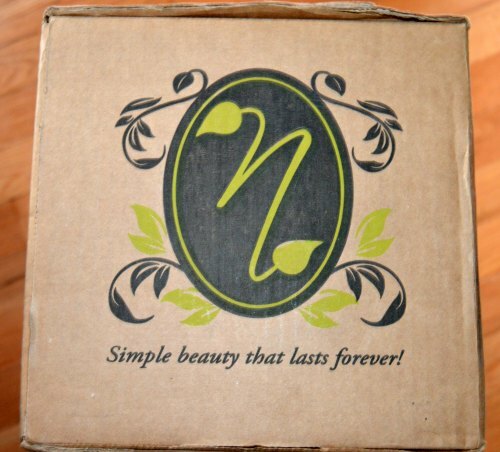 Visit nearlynatural.com to check out the huge selection of nearly natural artificial floral collections and use this promo code: XMASFF to get 20% off at checkout! So which of these Christmas table decorations ideas was your favorite? Do you have a holiday table centerpiece picked out yet? 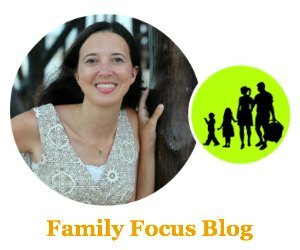 I am so excited about mine and getting to use it year after year!